Articles by Jonetta Rose Barras in the Examiner and coverage in Mother Jones, the Washington Post, the New York Times, the Village Voice, ABC News, and the Boston Globe have brought public scrutiny to bear on the Judge Rotenberg Educational Center (JRC), a Special Education center that administers shocks to the skin of students as “Aversion Therapy.” Most reporters, columnists and public officials are astounded by this news. Not so the Food and Drug Administration. Under the Code of Federal Regulations, Title 21, Volume 8, Chapter I, Subchapter H (Medical Devices) Part 882 (Neurological Devices), Subpart F (Neurological Therapeutic Devices) Section 882.5235, Aversive conditioning device (21FCR882.5235) FDA has licensed several electric skin-shock devices. 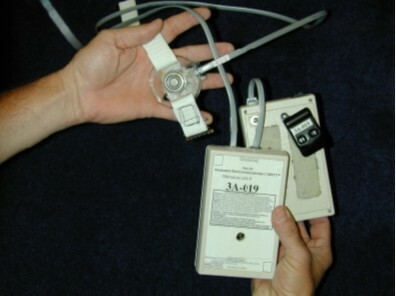 According to FDA, “An aversive conditioning device is an instrument used to administer an electrical shock or other noxious stimulus to a patient to modify undesirable behavioral characteristics.” For electric shock devices, the “conditioned punisher” hardware consists of electrodes, a shock device coupled with a radio receiver which is strapped to the patient and a transmitter held by the therapist. 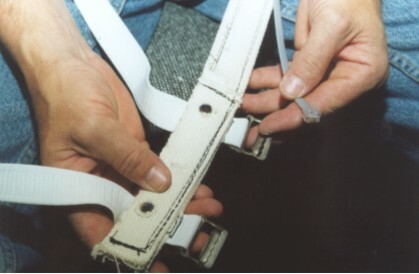 The JRC first used the SIBIS (Self Injurious Behavior Inhibiting System device). The model currently used at JRC is the GED (Graduated Electronic Decelerator). the GED stimulation (average current of 15.5 mA rms) is substantially stronger than SIBIS (average current 2.02 mA rms). JRC has also developed a stronger version of the GED which we call the GED-4 and which produces a current of 45.0 mA rms. The difference between any two current levels does not translate exactly into the difference in perceived aversiveness, but it is clear that the increased current of the GED makes it more effective than the SIBIS. It also makes the GED-4 more effective than the GED. The registered manufacturer of the GED brand devices is — surprise — the Judge Rotenberg Educational Center, Inc. If this seems, familiar, it should, especially if you own pets, hunt, or have lived in farm country. 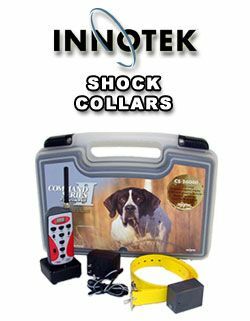 Shock Collars and anti-bark collars have been a popular though controversial dog-training aid for some time, and the electric livestock fence is common among cattle, horse, and sheep raisers. There are even electrified fences for pets and “invisible pet fences” that use shock collars. It has been established that in dogs “avoidance learning increased with shocks up to 4.8 mA, with the desire to escape appearing above 5.0 mA intensity.” Bear in mind that the GED-4 device average current is 15.5 mA rms and it can administer shocks as great as 45mA. Use of dog collars on people have resulted in torture convictions. This entry was posted on December 27, 2007 at 3:27 pm and is filed under education, health care, kids, media, mental health, news, pets. You can follow any responses to this entry through the RSS 2.0 feed. You can leave a response, or trackback from your own site. New York State officials trying to ban shock treatments have found an obstacle: parents of students given shocks. Technically, the lowest shock given by Rotenberg is roughly twice what pain researchers have said is tolerable for most humans, said James Eason, a professor of biomedical engineering at Washington and Lee University. The highest shock given by Rotenberg is three times the lowest amount. The document to which Dr. Israel (Director of the Judge Rotenbenberg Center) refers was intended as a rebuttal to questions raised in recent articles in the NY Times and elsewhere questioning the techniques practiced at JRC and nowhere else in the Western World. Perhaps Dr. Israel can update this and inform us if any of the JRC-generated research papers cited in his document have been accepted by any peer-reviewed medical or scientific journals. i litteraly laghed out load from reading that. I’ve been to JRCs site. I found http://www.judgerc.org/images/treatpic1.jpg especially interesting. This pic shows “touching of right thumb knuckle” under “HDB (Other):GED, TK”, and it shows “Touch hair” under “HDB (Major):GED, TK”. So Mathew Its OK to shock students for touching there hair! wtf I thought electric shocks to humans for anything but SIB (Self Injurous Behavior) was illegal!